This post is pending for very long time and finally decided to put the words into action and complete this post. You all remember my birthday shopping, keeping Goa (Beach) in mind. 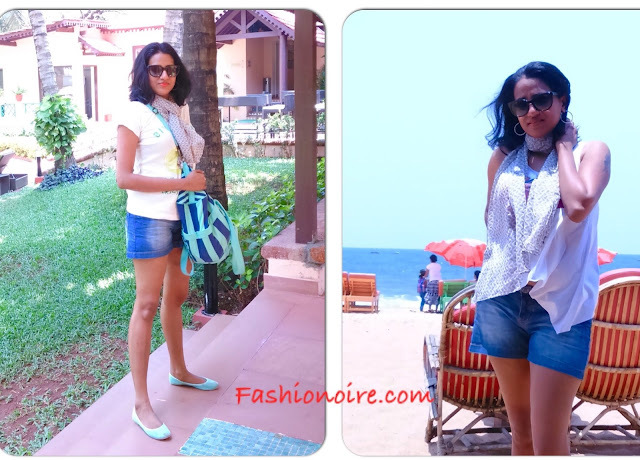 As Goa and beach was in mind, I shopped few cloths and accessories which would suit my travel plans. I usually dont shop much in People store, but this time when I went inside to check out collection in People store,Koramangala, Bangalore, I only came out with handful of shopping bags. I picked up, denim shorts, white t-shirt,Kurti, knee-length jump suit and a duffle bag. 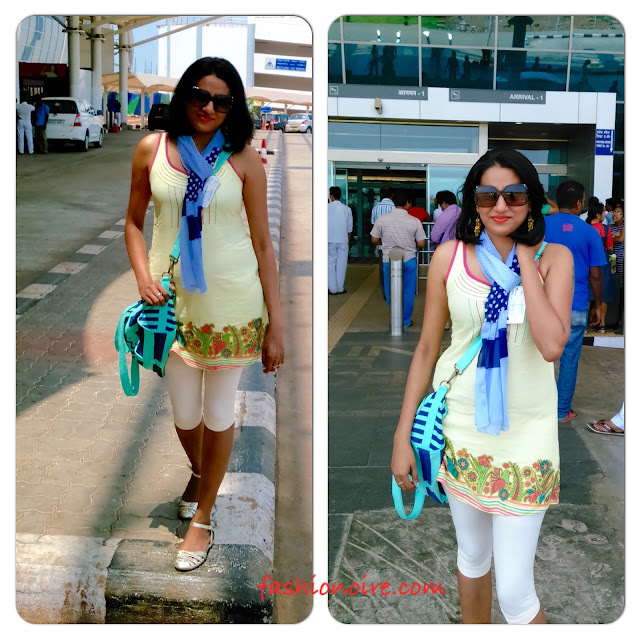 To my flight to Goa,I wore a kurti pairing it with knee length legging and a scarf which I bought it long ago from Tibetan market Bangalore. I was bit skeptical to try this outfit but it turned out to be very chick. I wasn't planning to get into the sea, I just wanted to sit in a shack and watch the beauty of the sea with pint of beer. that's why I decided on denim shorts and top. Duffle bag was my favorite in this entire shopping list. 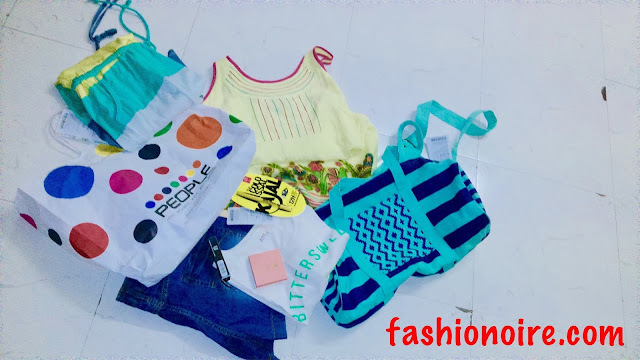 Though the sales person sold me this saying its a gym bag, I used it, replacing it to my hand bag.This bag has a contemporary look which actually lets you to play around by pairing it with different outfits.